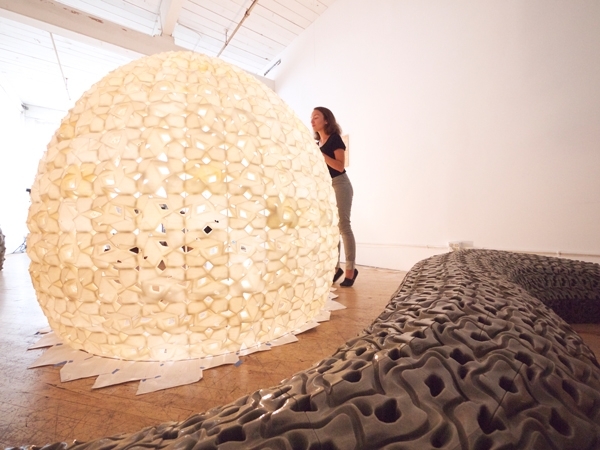 Salt used as a building material by Emerging Objects. An alternative way of using a renewable source of a solid to create a structure. 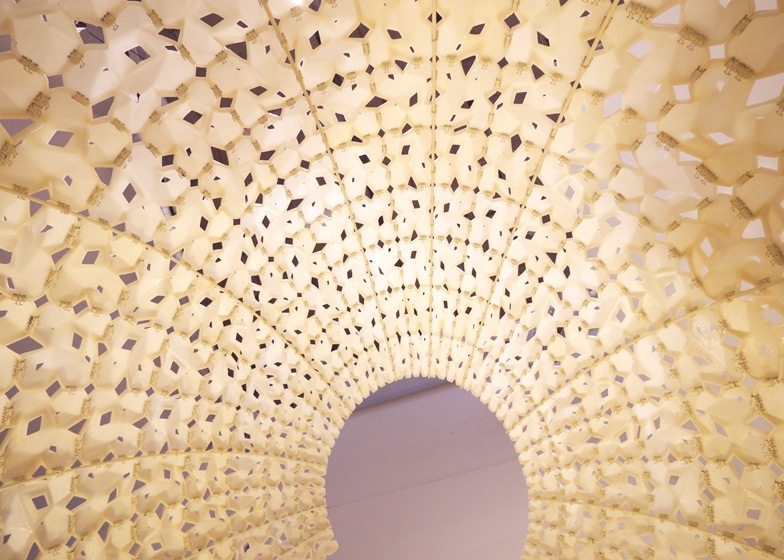 "The structure is an experiment in 3D printing using locally harvested salt from the San Francisco Bay to produce a large-scale, lightweight, additive manufactured structures," said Ronald Rael and Virginia San Fratello of additive manufacturing startup Emerging Objects. They explained that 500,000 tonnes of sea salt are harvested each year in the San Francisco Bay Area using power from the sun and wind. "The salt is harvested from 109-year-old salt crystallisation ponds in Redwood City," they said. "These ponds are the final stop in a five-year salt-making process that involves moving bay water through a series of evaporation ponds. In these ponds the highly saline water completes evaporation, leaving 8-12 inches of solid crystallised salt that is then harvested for industrial use."" saltYgloo from Rael San Fratello on Vimeo. Not sure how useful it would be when it gets wet, and it looks as though it is held together with bulldog clips, but I'm interested in the approach the two professors are playing with. Using a modular approach to create something large yet quite random is quite a useful approach, particularly with spaces and structures.